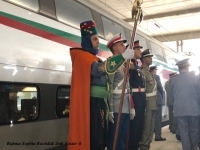 USPA NEWS - HM King Mohammed VI of Morocco and the President of the French Republic Emmanuel Macron inaugurated, on November 15 in Tangier, the high speed train (TGV) Al Boraq which will make the Tangier-Casablanca route. 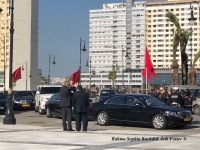 The two heads of state boarded the train for a successful inaugural trip that will take them to Rabat-Agdal station, in a astonishing fast sped of 1h20, instead of 3h 45, of classic train. Dozens fo international journalists, travelled in the next by wagon, amongst other personalities and officials form both countries, France and Morocco, during a road lunch. HH MOHAMMED VI AND PRESIDENT MACRON ABOARD THE FAST TRAIN AL BORAQ TGV FOR AN INAUGURAL TRIP TANGIERS-RABAT IN 1H20--------------------------------------------------------------------------------------- HH Mohammed VI Kind of Morocco, and French President Macron aboard the first Fast Train called "Al Boraq" type TGV for an inaugural trip Tanger-Rabat in 1h20 on November 15th of this year 2018. 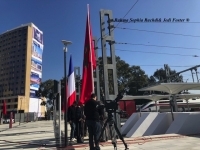 This project of the Tangier-Tangier TGV in the LGV (High Speed ​​Line) line from Tangier to Kenitra was initially launched in 2007 by HM King Mohammed VI and former French President Nicolas Sarkozy. Then, the official visit of President Francais Hollande in September 2015 (at the Maintenance Center of the TGV) was inaugurated on November 15, 2018 in the presence of the current French Head of State Emmanuel Macron.------------------------------------------------------------------------------------------------------------------------------- The two heads of state first unveiled the official plaque of the new High Speed ​​Train, named AL BORAQ, at 13h, before lunch aboard the LGV Moroccan, from the custody of Tangier. The first and fastest train in Africa ran at a speed of 320 km / h, leaving the new Tangier train station, to reach Rabat in 1h20. Nearly thirty international and Moroccan journalists, (TV 2M and Al OULA National TV). Al BORAQ was chosen by His Majesty the King of Morocco in reference to the name of This flagship project reflects a success of the French-Moroccan alliance, between the two diplomaties and despite the polemics of the Anti and Pro-TGV who have protested for years, must get received now that the project was completed successfully.---------------------------------------------------------------------------------------------------------------------------------------- Indeed, this colossal site was conducted in an area subject to seismic risk, in areas sometimes swampy and subject to strong winds. The training of the young driver aged 35, Khalid Bougern, was the lucky winner, (They are forty two other drivers who were trained and six who will ensure turnover turnover) to drive this TGV Duplex, for the first trip with on board the two French and Moroccan heads of state, as well as officials from both countries, as well as the gourde of international journalists. Eric Josse former SNCF, on the French side, as well as Sehli Alaeddine, Head of Service and Management of Fraction and Materiel) explain how it was long and rewarding bilateral training, thorough driver Khalid Bougern with 12 years of experience driving trains classics. Indeed, the cooperation between SNCF quoted French and ONCF on the Moroccan side has required more than 8 years. 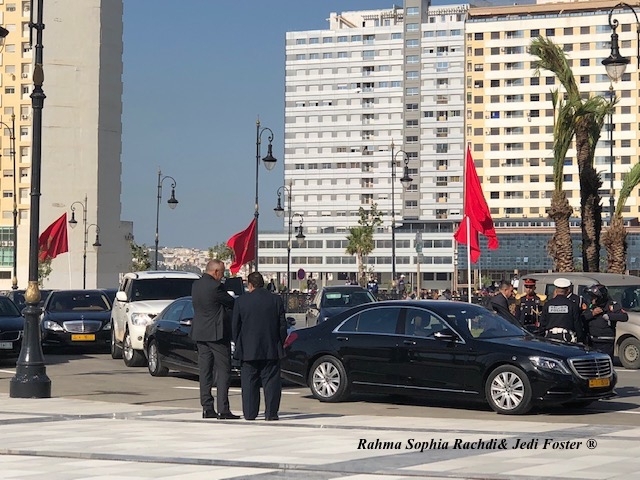 The colossal project costing 25 billion Moroccan DH (2.4 billion euros), is the pride of both countries, the culmination of this gigantic long-standing project that will have seen the passage of presidents of the French Republic who have followed one another. 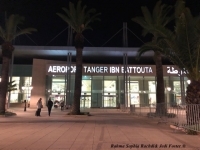 The journey Tangier Rabat was carried out in 3:30 by conventional train has been reduced to 1h20, Moroccan travelers will travel in very beautiful conditions of high standing. 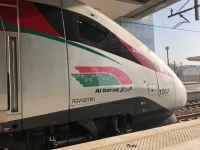 The AL BORAQ high-speed line is comfortable and whose services are identical to those of a French TGV, placing it in the best high-tech performance by Alstom, As far as the eco-Techology rating, Al Boraq will contribute to the preservation of the environment since it will prevent the emission of 20,000 tons of carbon dioxide per year.This technological feat will certainly change the lives of Moroccans, who often travel between this axis, provided that the price is accessible for the local purchasing power. 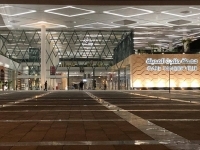 A GIANT HIGHLY TECH PROJECT CONFIRMS THE FRENCH - MOROCCAN ALLIANCE--------------------------------- "Al Boraq", which is part of the master plan of LGV which aims to build a network of about 1,500 km, consisting of the axis "Atlantic" Tangier-Casablanca-Agadir and axis " Maghreb "Rabat-Fez-Oujda, will make the course Tangier-Kenitra in 50 min instead of 3h15min, Tangier-Rabat in 1h20min instead of 3h45min and Tangier-Casablanca in 2h10min instead of 4h45min. This colossal project, LGV Tangier-Casablanca is part of the major infrastructure projects launched by Morocco, including the port of Tangier-Med, the extension of the motorway network and the establishment of industrial and technological parks . 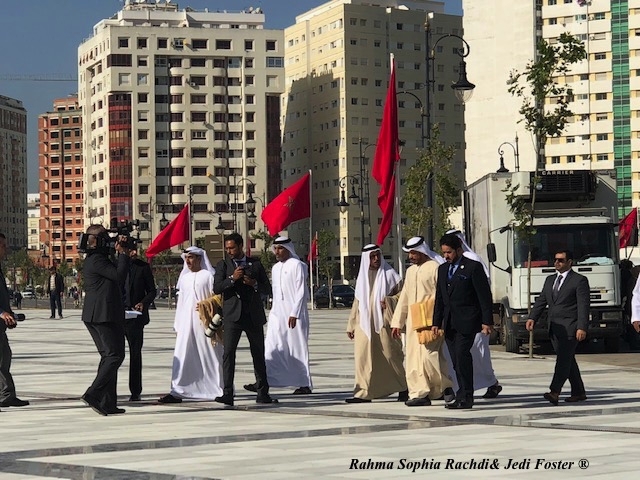 The will of HM King Mohammed VI instilled the order to carry out a continuous royal follow-up of the various phases of execution of this structuring project and the Souverain's concern to make the Moroccan TGV for a radiant image of Morocco of the modernity. and technological development, as well as its economic and social scope, and its technological dimension. WHY AND WHAT TITLE THE NEW TGV HAS BEEN NAMED AL BORAQ? 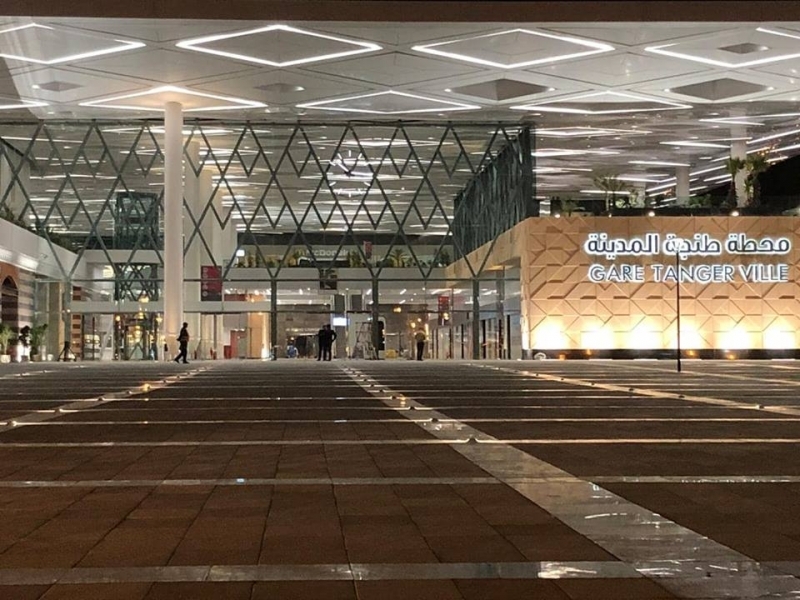 The new high-speed line was christened by the king "Al Boraq", named after a fantastic winged mount from the Islamic tradition, symbolically chosen to evoke "speed and travel". 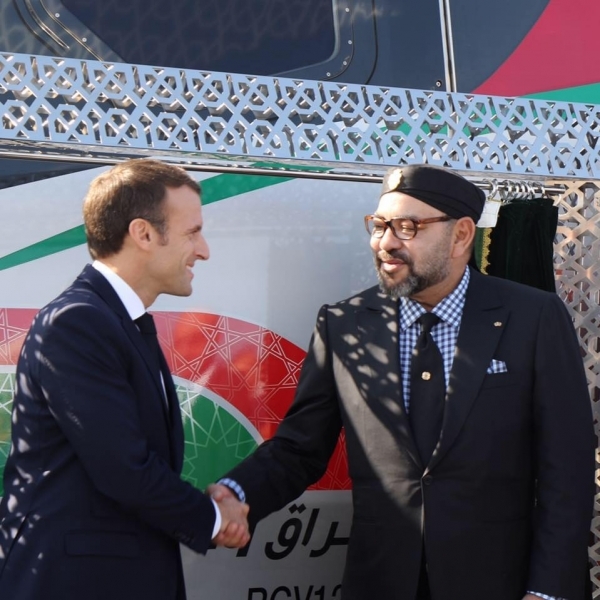 Mohammed VI and Emmanuel Macron unveiled the logo of the train before getting in, towards Rabat.The BOraq, or Burak, is, according to Islamic tradition, a fantastic courier from paradise, whose function is to be the mount of the prophets. 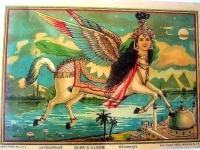 According to the best known story, in the seventh century, the Bouraq was brought by the archangel Gabriel to carry the prophet of Islam, Mohammed, from Mecca to Jerusalem, then Jerusalem to heaven before making him travel. back during the episode called Isrā 'and' Mi'rāj (meaning respectively in Arabic: "nocturnal journey" and "ladder, ascension", which is the title of one of the chapters of the Qur'an). 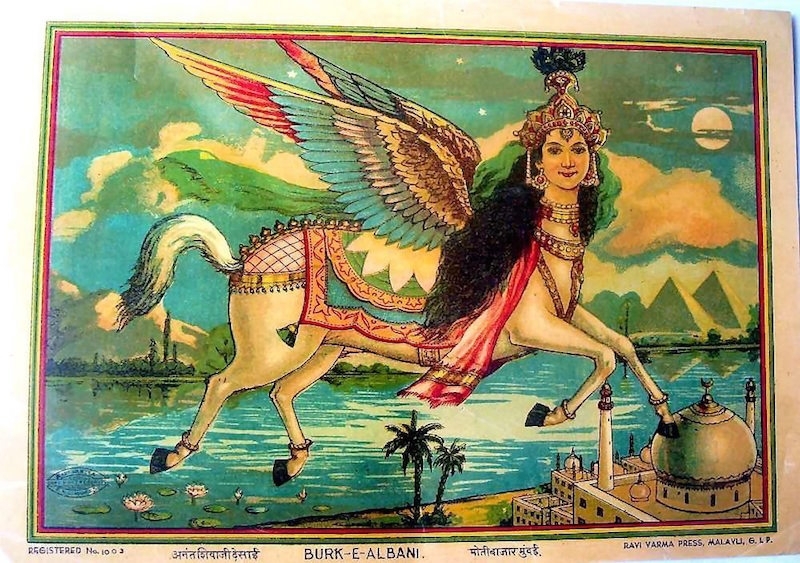 The Buraq also carried Ibrahim (Abraham) when he visited his son Ismail (Ishmael) in Mecca. He is a subject of frequent iconography in Muslim art, where he is usually depicted with a woman's head, a horse's body, wings, and a peacock's tail. 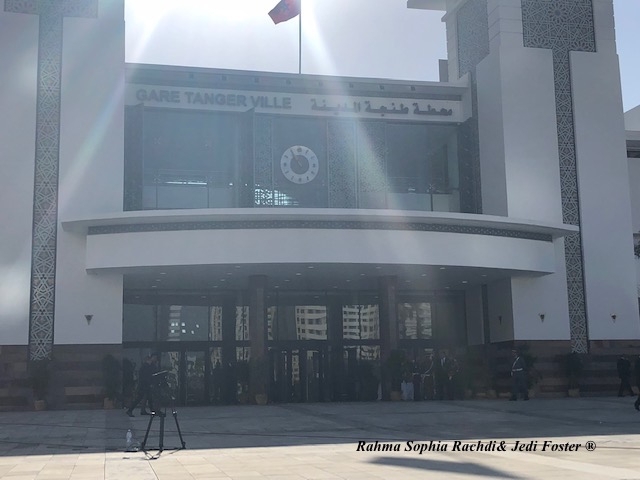 COST AND ACHIEVEMENT OF THE LGV TANGER -KENITRA PROJECT------------------------------------------------------- The total cost, financed at around 51% by France via various loans, represents nearly 23 billion dirhams. These include SNCF, which provides project management assistance to the National Railways Office, but also Egis and Systra, Alstom for the supply of trains, and the Colas Rail-Egis Rail consortium. for the tracks and catenaries. This commissioning culminates a series of dynamic tests started in February 2017, to validate the smooth operation of rolling stock and infrastructure. These speeding tests made it possible to reach, on October 20, 2017, the commercial speed of 320 km / h, before passing the overspeed tests putting the whole system to the test.---------------------------------------------------------------------------------------- On May 4, 2018, the test train driven by a Moroccan railway worker reached the speed of 357 km / h between Tangier and Kenitra, thus establishing the speed record on railway lines within the African continent. 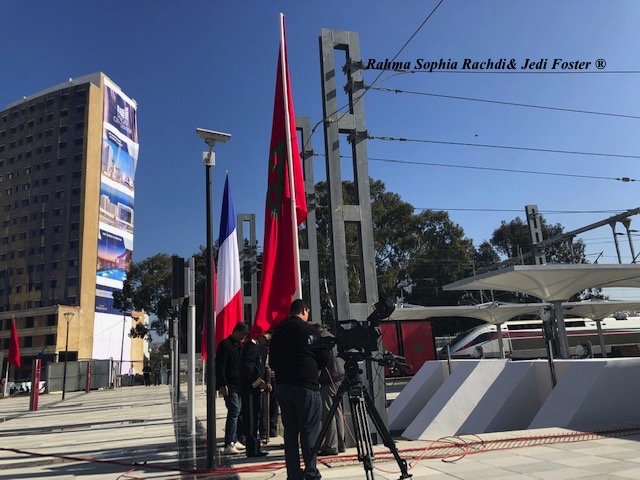 This step was a historic moment for Morocco, which opted for this new technology, especially since this structuring project is implemented with the help of Moroccan managers and assistants under the supervision of the ONCF. AGENDA OF THE WORKING PROCESS AND FOREIGN INVESTORS----------------------------------------------------------- The works accounted for 67 million m3 of embankments and cuttings, with the construction of 12 viaducts - the longest is 3.5 km -, 169 bridge-roads or rail-bridges and 117 hydraulic structures. 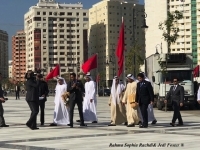 The initial schedule, which provided for a delivery in 2015, was delayed by the land expropriation process and by the complexity of the project carried by a Franco-Moroccan partnership. The LGV runs about 350 km, the trains will run at 320 km / hour over a distance of 180 km from Tangier to Kenitra, north of Rabat, then to 160 km / h on the conventional network arranged. The French group Alstom has supplied 12 double-deck trains with a capacity of 533 passengers. About 23 billion dirhams (about two billion euros), about 15% more than initial estimates. 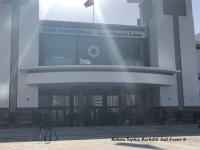 This cost remains "among the lowest in the world" because of the price of local labor, with a cost price of less than 9 million euros per km, for a European standard of 15 to 20 million euros. euros.--------------------------------------- The amount of investment has been criticized since the launch of the project, users regularly complaining about the state of the network and train delays, two points pinned in the latest report of the Moroccan court of account.------------------------------ The project was financed 51% by France via various loans, 28% by the Moroccan State and 21% by various Arab funds (Saudi Arabia, Kuwait, United Arab Emirates, etc.). The first tickets must go on sale on Thursday evening, the first trains will circulate at the earliest by the end of the month, with a frequency of twelve to fifteen daily connections. ONCF expects six million passengers after three years of operation. Work was also carried out on the conventional network to reduce travel time between Casablanca and Marrakech and to develop freight traffic, a major source of revenue for ONCF.